Follow this series of blog posts on moderating a role-playing game, with specifics about Beyonder. Your own fantastic adventures lie ahead! Before you get started, you need to have the right gear. Here are some of the essentials for moderating a game, as well as a few extras that are nice to have. Lots of extra scrap paper and pencils. A sharpener wouldn’t hurt either. Your own copy of the rules, either physical or digital. For Beyonder that is Beyonder: The Science of the Six. Your players may have their own copies but you should probably have your own on hand. My copy has frequently used pages marked with sticky tabs for quick reference. Your own copy of the bestiary, either physical or digital. For Beyonder that is Imbehnhi’s Bestiary: Being a Traveler’s Account of Our Continent and Her Creatures. Generally your players should not have a copy with them unless their characters have knowledge of the creatures. Eventually your players will likely come to know most of the creatures in the world, at which point they will have to make a conscious decision to separate their knowledge from their character’s knowledge — but if they don’t have access that will put that issue off for a while at least. Character sheets for any other creatures you plan to have appear in your adventure. They can be non-player characters (NPCs) or creatures, either from the Bestiary or ones you have made up. Follow the link for a printable Beyonder character sheet. 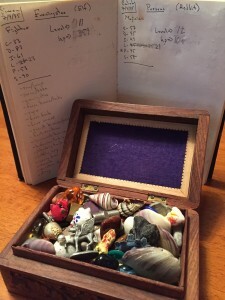 Sometimes it is helpful to have a list of some of your players’ key Talents; you might want to make a roll on their behalf without their knowledge. This might include Perception to see if they notice something, Insight to notice if someone is lying, Scholarship to check if they would recognise the significance of something, and Luck just in case. If you really want to keep your players on their toes, you can get in the habit of making rolls at random intervals so they don’t know which ones are real. Maps, maps, maps! It is really helpful to have visual aids, especially in situations such as combat, where spacing matters. A map can be anything from a quick sketch on the back of a napkin to a series of table-sized charts, drawn in fine detail and to scale, and added to for years (as was the case with the original Beyonder maps). It is often helpful to make your maps on graph paper and to create a standardized scale that you use throughout your games. Another fun thing to do if you are having your players repeatedly explore parts of the same place is to have a master copy of the maps for yourself and to have the players create and keep their own maps as they explore. Tracking Wheels are nice for complex situations and when timing matters. In Beyonder we have a printable Tracking Wheel for keeping track of the play order and the amount of time that passes before an action resolves. How do you keep track of where people are on the map and tracking wheels? Tokens of some sort are very helpful. I like to have two tokens for each player, one for the map and one for the tracking wheel. Ideally this is small object or figure that the player uses each time. 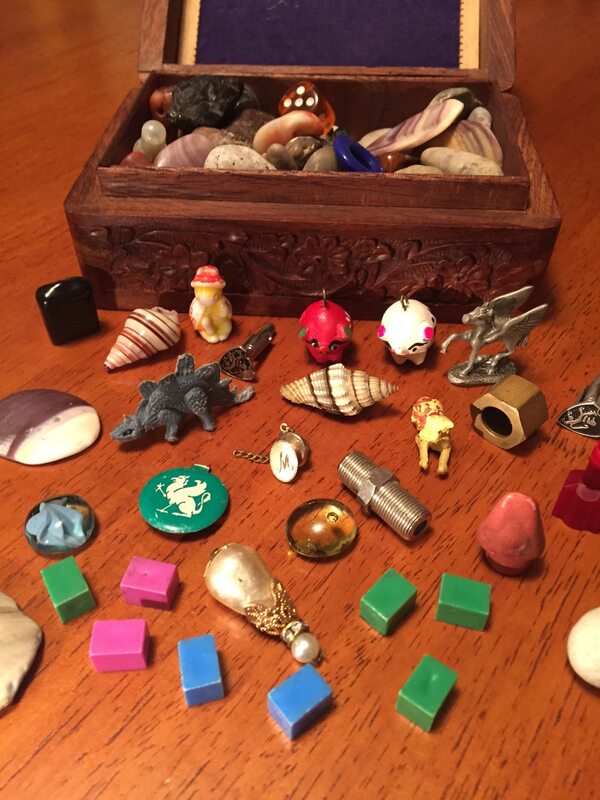 Some of the markers used by early Beyonder players included small sea shells, cufflinks, pewter figurines, and animals carved out of wood, and even pieces from unused board games. Start collecting little objects now and you will have enough in no time. It is also good to have extras to represent NPCs and other creatures. There is a lot more to this whole Moderator gig than this, but we will take a brief pause for now and let you digest it all.